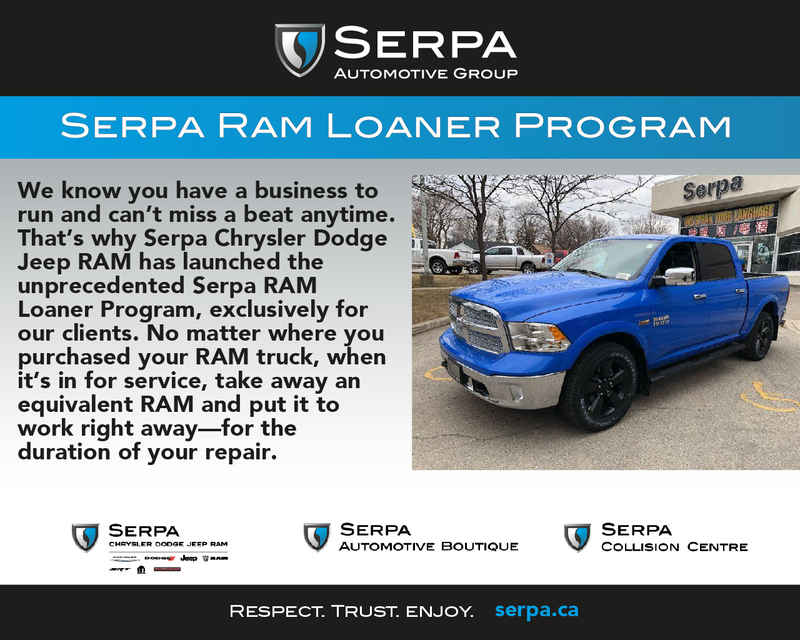 Visit Us 20 Cowdray Ct.
Serpa Collision Centre > Uncategorized > News > The Serpa RAM Loaner program: to keep you on the road! The Serpa RAM Loaner program: to keep you on the road! We care about your business, and this is how we are demonstrating our interest in your success. 5 Stars for Serpa Collision Centre! A Great Before & After!! By submitting your email address or phone number, you allow us, Serpa Collision Centre, to include you on our contact lists to send you information about our products, services and promotions. You may revoke consent at any time by clicking on the "Unsubscribe" link in your email.